Another one of those antenna terms out there, BIII will eventually confound and confuse you, especially if you’re looking at antennas made outside the US. BIII is the abbreviation for “Band III” (in other words band 3). It’s a designation used internationally for a set of frequencies. Here in the US those frequencies are referred to as VHF-High and correspond to channels 7-13. So if an antenna is designed to pick up BIII it will pick up VHF channels. In some cases the abbreviation “DAB” is also used because in some countries, the frequencies we use for channels 7-13 are used for digital audio broadcasting. 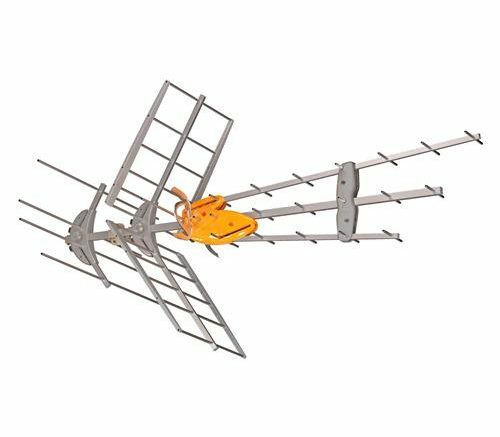 By the way, there is also a Band I (used here in the US for channels 2-6) Band II (used for FM radio) as well as bands IV, V, and VI which are used here in the US for private broadcasting and cellular communication, as they fall above what we think of as UHF channels. All of these designations come from the International Telecommunications Union (ITU), which is an organization that tries to help countries manage their TV frequencies. Here in North America, pretty much the same ranges are used from the northern tip of Canada to the southern tip of Mexico, but in Europe, Asia and Africa there are a lot more overlaps so there is more need for an organization like the ITU to step in and define standards. Of course it’s up to the individual countries to adopt or enforce those standards, so occasionally, as they say, “hilarity can ensue” when countries’ TV broadcasts step over one another. It’s rare when it happens though, just because consumers don’t tend to tolerate it. Can you use a coat hanger as an antenna? When do you need a power passing splitter?